Let’s start 2017 with travel itinerary story for Bangkok. We have written two Bangkok shopping itinerary and they are 4 Day 3 Nights Bangkok Weekend Shopping Itinerary and Bangkok 5 days 4 nights weekend shopping itinerary. 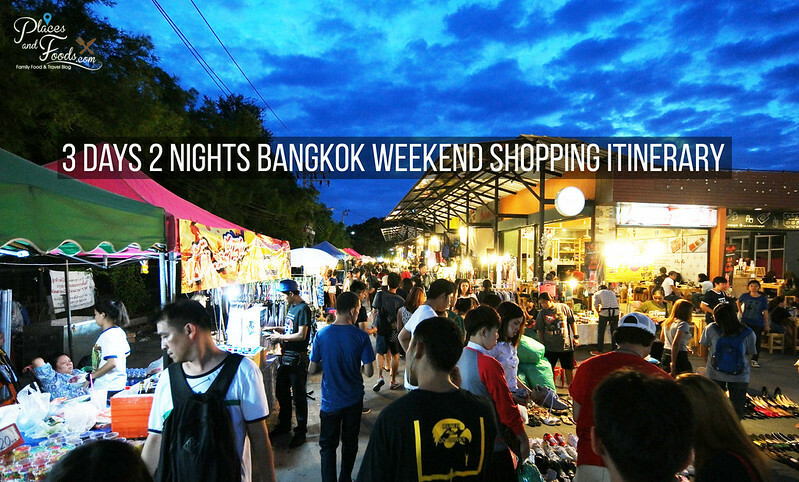 This is another weekend shopping itinerary in Bangkok but shorter days. For 3 Days 2 Nights Bangkok Weekend Shopping Itinerary, we have included all the new shopping places and excluded the old ones. This is for 2017 and not a recycle old weekend shopping itinerary. For 3 Days 2 Nights Bangkok Weekend Shopping Itinerary, we recommend you to fly to Bangkok on Friday and depart Bangkok on Sunday evening. 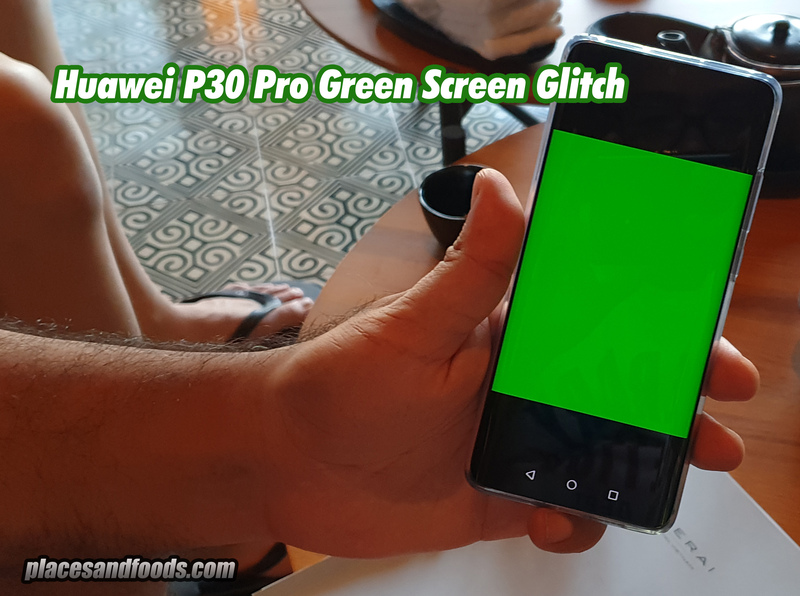 You do understand most shopping places such as night markets only open during weekends so it is ideal to visit and shop in Bangkok during weekends! For this itinerary, you only need to take one day leave and shop like a Queen! Since it is three days itinerary, we try to squeeze everything into three days and you have many options where to go and where to shop. We recommend you to stay in Pratunam area. 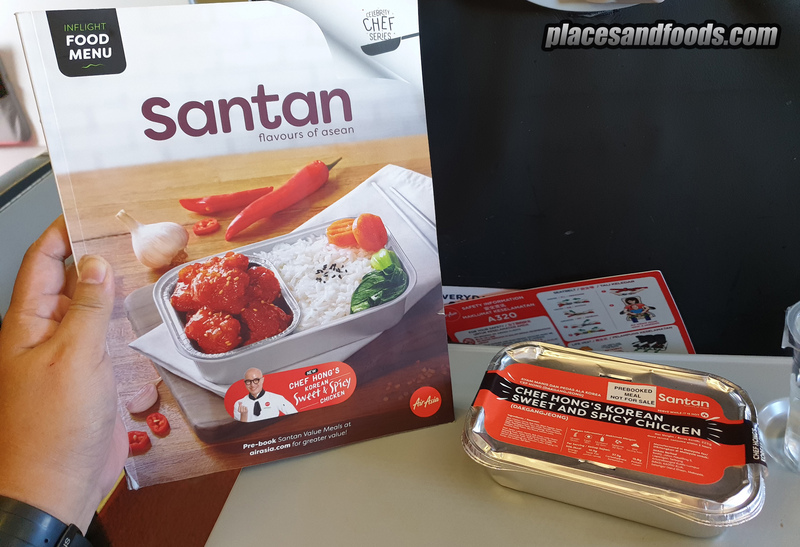 We know Malaysians and Singaporeans love Pratunam and it is convenient to shop within the area too. Thus, we also recommended Top 20 Hotels to stay in Pratunam. Tips in staying in Pratunam. If you can get taxis using meters here, you can always order a ride from Grab or Uber. Just plan your schedule ahead. Welcome to Bangkok and you can fly in the morning or afternoon and transfer to check in your hotel. Always take a shower, get refreshed, warm up your arms and legs, wear the most comfortable shoe / sandal and get ready with your shopping backs. You only have three days so in short, don’t waste time lar. Let’s go shopping in the afternoon. For Friday afternoon, we recommend four shopping malls for shopping. These malls come with many good food and highly recommended restaurants. Platinum Fashion Mall is located in Pratunam and you can start shopping on day one. Platinum Fashion Mall is the wholesale shopping haven for many shoppers, traders and tourists. Located in Pratunam, opposite Amari Watergate Hotel and the Pratunam Wholesale Market, Platinum Fashion Mall is a gigantic six storey shopping complex. 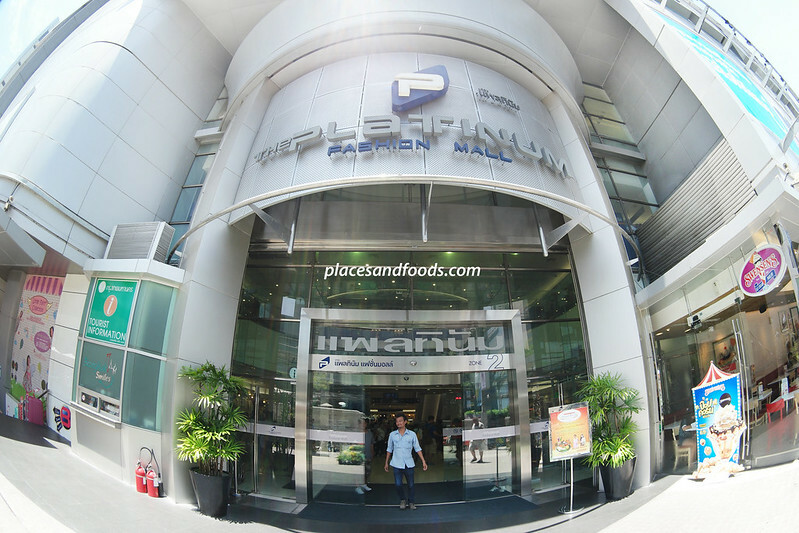 Continue your shopping spree at Platinum Fashion Mall, if you are hungry just head on to the top level for the food court. What we like about shopping in Platinum Fashion Mall is they assigned the shops selling the same thing in the same floor. For example, if you want Men Fashion you just need to visit one of the assigned floor so everything is systematic. On top of that, it is fully air conditioned and they have cafes in between so the men can rest while the women can shop. This is a wholesale shopping mall so again buying things in bulk of three items are cheaper. The mall close at 7 pm and you can spend the whole day shopping here. 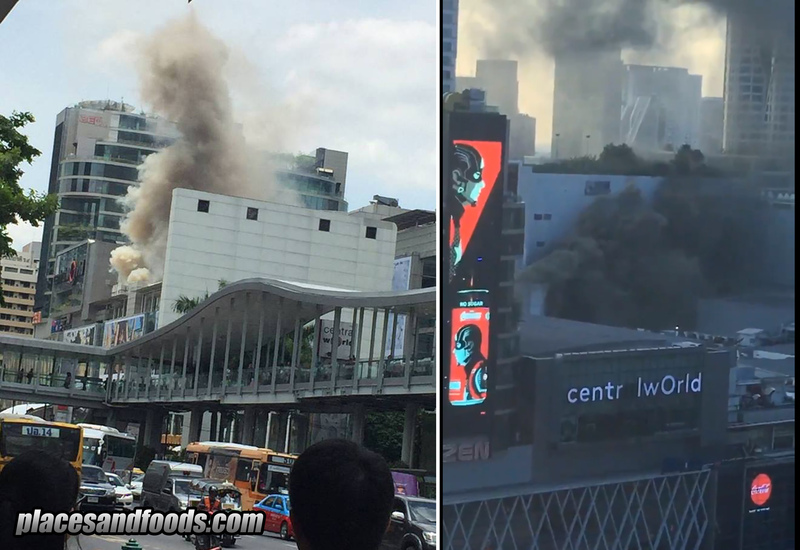 This is the most popular wholesale mall in Bangkok right now. The best way to visit Platinum Fashion Mall is by taxi. Central World Bangkok is one of the malls we often visit. It is a huge mall and you can find many good deals. 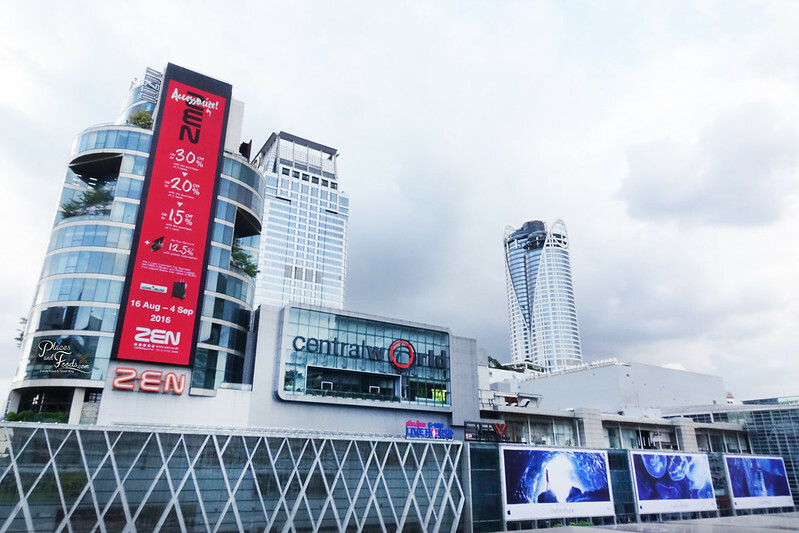 If you look for International brands, Central World Bangkok is one of the places you should visit. The best part is it is only a few minutes of walking from Pratunam. We usually go there for shopping and food. Remember to apply for One Card to get more discount and remember you need to spend THB 2000 in a single receipt to quality for VAT returns. Check out their seasonal sales in Central World Bangkok and you can really find good deals here. Remember to check out the restaurants here as you can find many good food in this mall. Popular restaurants like After You and Bake Cheese Tart are located in Central World Bangkok. You can spend hours checking out the shops here as the mall is huge. During December, there will be beer gardens in front of the mall with live music playing every night. Their Christmas decorations is one of the best in the city too. How to go to Central World Bangkok? The mall is located in between BTS Siam and BTS Chit Lom Station. You can walk to the mall throught the sky walk in between both BTS Siam and BTS Chit Lom Station. It will take a good ten minutes of walking to Central World Bangkok. For option 3 and 4, you need to walk to BTS Station to visit the malls. They are not located in Pratunam area and if you have time, why not? MBK Center or also known as Mahboonkrong is one of the top shopping malls in Bangkok. It is one of those shopping malls that you can find almost everything under roof. Hence, the locals as well as tourists love MBK Center. MBK Center was opened in 1985 and it was the biggest mall in Asia. It is located near the National Stadium BTS Station as well as walking distance to Siam Discovery and Siam Paragon shopping mall. We usually come here for the Thai local dried food and some of the local produce. 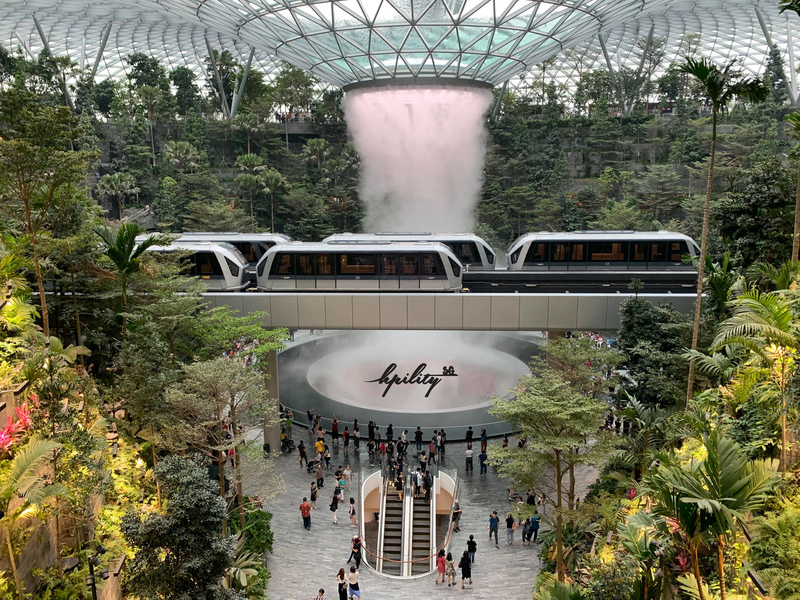 This mall has plenty to offer and you just need to walk and shop. You can easily spend the whole day here. Jose Mourinho was spotted here last year shopping for handphone casing. How to go to MBK Center? MBK Center is located next to National Stadium BTS Stadium. This is the most convenient way to visit MBK Center. We believe many people has visited Terminal 21 Shopping Mall for the past few years. It is one of the most unique concept malls in Thailand. Each and every single floor in this mall represents a city. You get the whole floor with themes such as Paris, Rome, Tokyo and London. You get plenty of different shops selling different things depending on the theme. The things here might not be as cheap as the wholesale market but you get many good local designers clothing as well as other things here. Not forgetting the Pier 21 food court is probably the cheapest food court in Bangkok. Pier 21 is the food court where the best food stalls in Bangkok meet. The food prices at Pier 21 are as cheap as street food. Most of the food item here are less than THB 50 per plate which is a steal. Terminal 21 Shopping Mall also boast to have one of the prettiest toilets in Thailand. All the toilet system comes with bidet system similar to the ones in Japan. You can spend hours shopping and venturing the mall. We listed down six night markets you can visit on Friday evening. 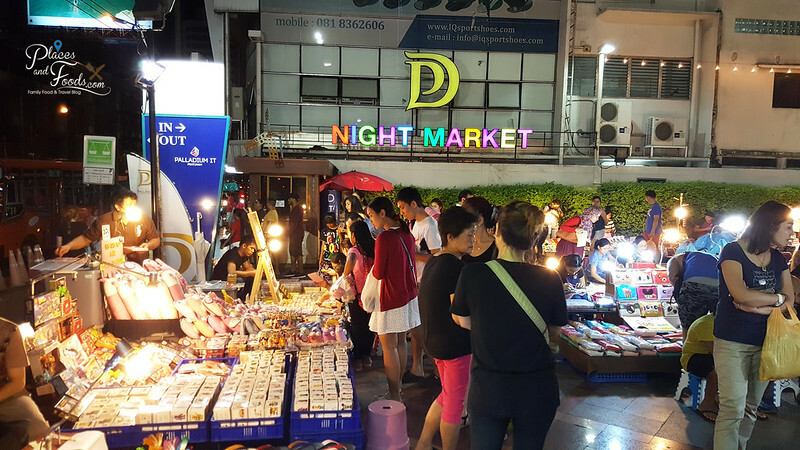 Three night markets are located in Pratunam and the other three is at different locations. These are the options for you to choose. 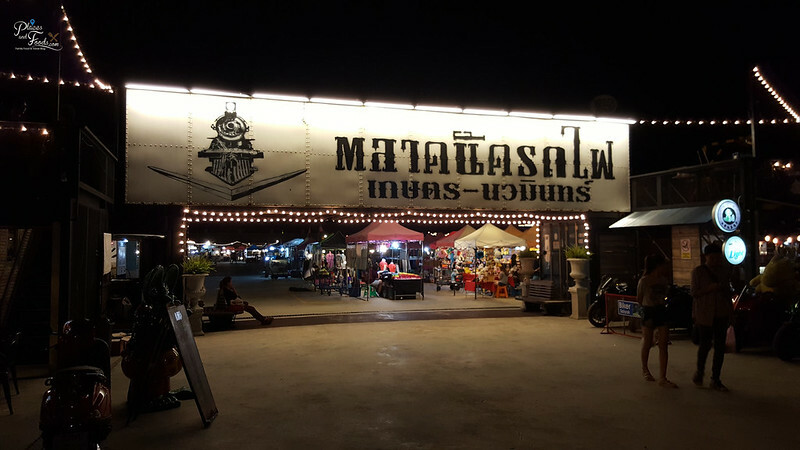 We do recommend you to visit the three night markets in Pratunam as they are within walking distance from one to another. The other three night markets, you will need to travel far to visit and the choice will be up to you. After Platinum Fashion Mall closes at 7pm, just walk out to their brand new initiative, the Platinum Mall Night Market. The location of the night market is right in front of the building and there are 40 shops selling different items such as fashion, accessories and food. Probably the smallest night market ever in Bangkok, you can take a look or peep what they selling before head on to your hotel or to the next night market nearby. 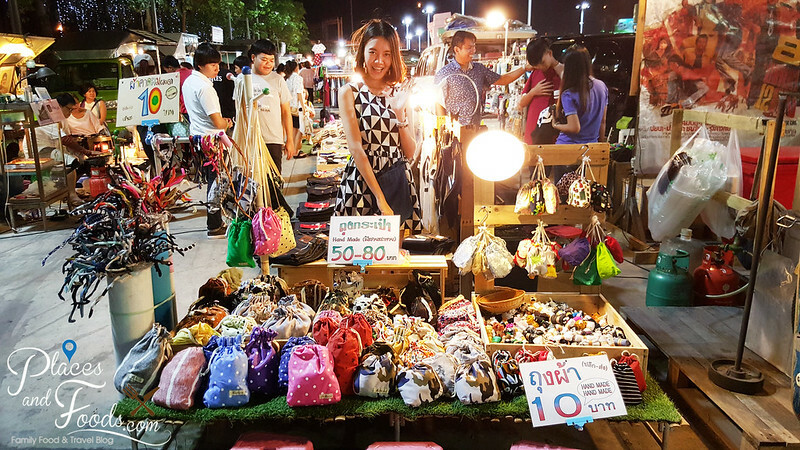 Palladium Night Market is the second night market we recommend in Pratunam. We stumbled upon this night market by chance when we went to Platinum Mall Night Market. 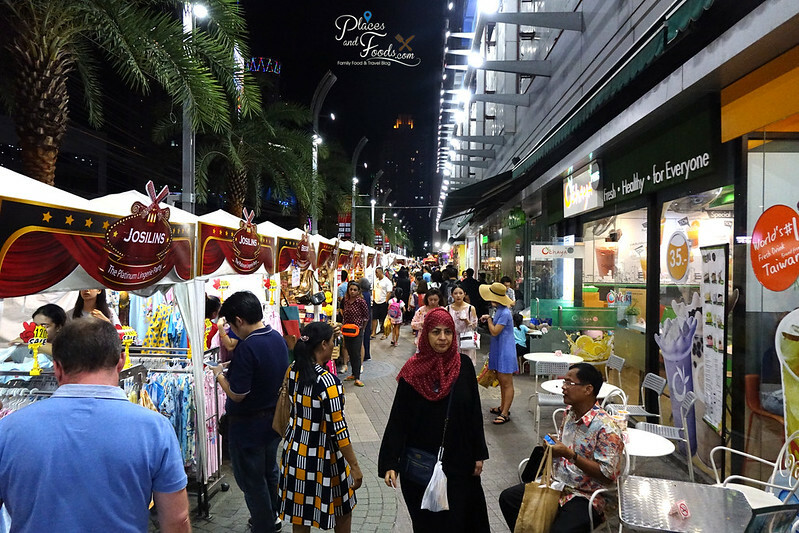 The night market is located outside of Palladium World Shopping Centre opposite Platinum Shopping Mall and Amari Watergate Hotel. They are located at the same street of Centara Watergate Pavilion Hotel in Pratunam. In short, you just need to walk across the main road and you will reach Palladium Night Market. You can use the pedestrian bridge, no point risking your life crossing the roads illegally. Unlike other night markets, the Palladium Night Market stalls offer many DIY products. You can personalised your own bags or clothes with unique letterings and cute icons. We personalised a few clothes for our boys too. The stalls offer many accessories on top of fashion and we really like their DIY personalised products. It is really good for souvenirs and as usual the prices are very affordable. This is the latest night market and they will be opening on 1st December 2016. It is called Talad Neon and it will be opening in between Phetchaburi Road Soi 23 and 29. Talad Neon simply means Downtown Night is owned by the same owner of Platinum Mall and this will be their first new outdoor night market venture in Pratunam. 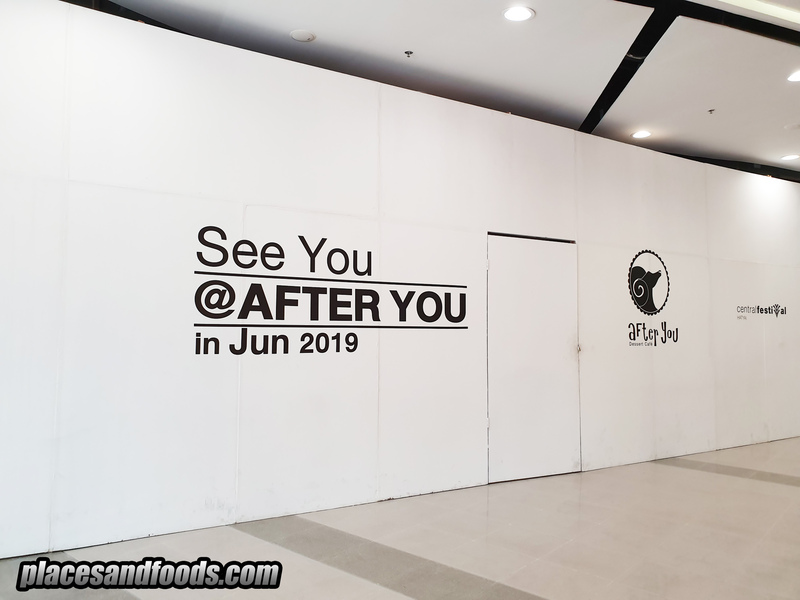 They are located next to Palladium Night Market and we will update once we have actual pictures and status of the night market. 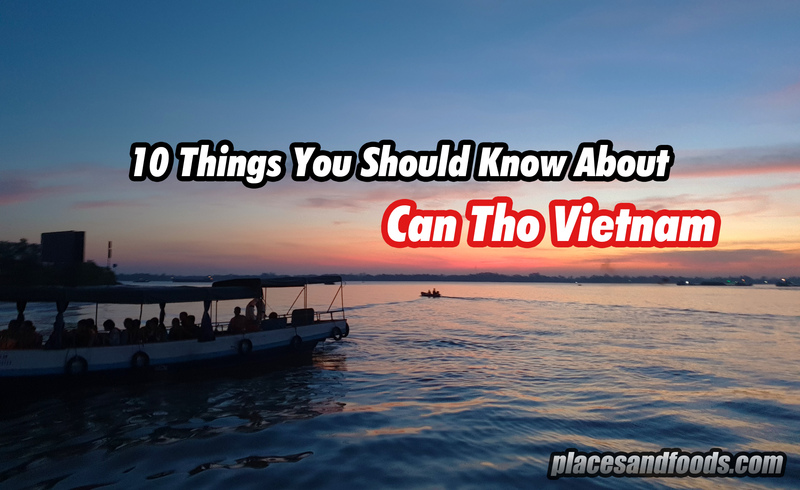 For Option 4 to 6, it is far away from Pratunam so it is advisable you choose one night market to visit instead of visiting all. The choice is yours. We still remember visiting Asiatique The Riverfront for the first time when they open their doors in 2012. How cool to visit a mall by taking free water taxi (boat)? On top of that, Asiatique The Riverfront is used to be the former docks and warehouses of the East Asiatic Company. Now, the whole area is converted to shops, restaurants and entertainment outlets. 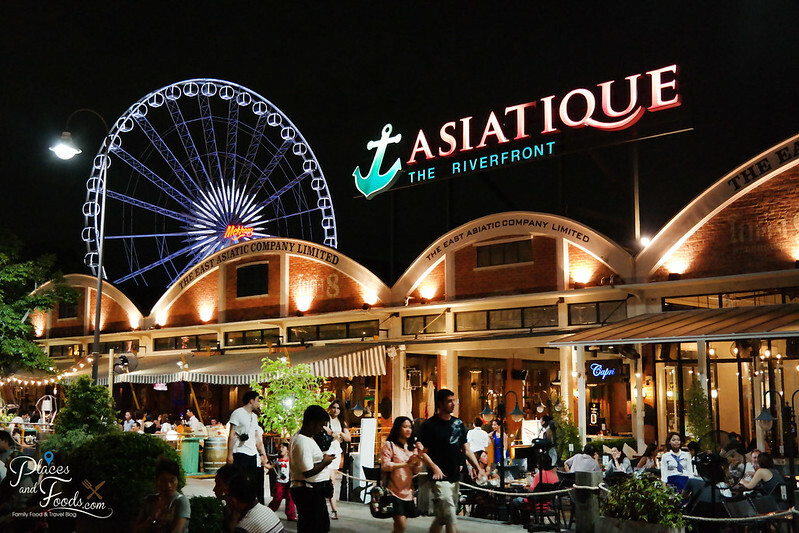 Asiatique is an open-air mall and they open daily from 5pm onwards. They are located next to the Chao Phraya River and the best way to reach there is by their free water taxi. At night, the lights lit up Asiatique to one of the must visit places in Bangkok. You can find many shops selling fashion, accessories, souvenirs as well as bars and restaurants. There is also a huge ferris wheel in Asiatique where you can have the view of the Chao Phraya river and the surrounding area. You can also watch shows like Muay Thay Live exclusively here in Asiatique. You can read our review HERE. Expect to spend hours venturing and shopping in Asiatique. Many couples as well as families love to visit Asiatique. At night, it is usually windy here as the wind blows from the Chao Phraya river. Asiatique is touristy but worth the visit. Your trip to Bangkok is incomplete without visiting Asiatique The Riverfront. 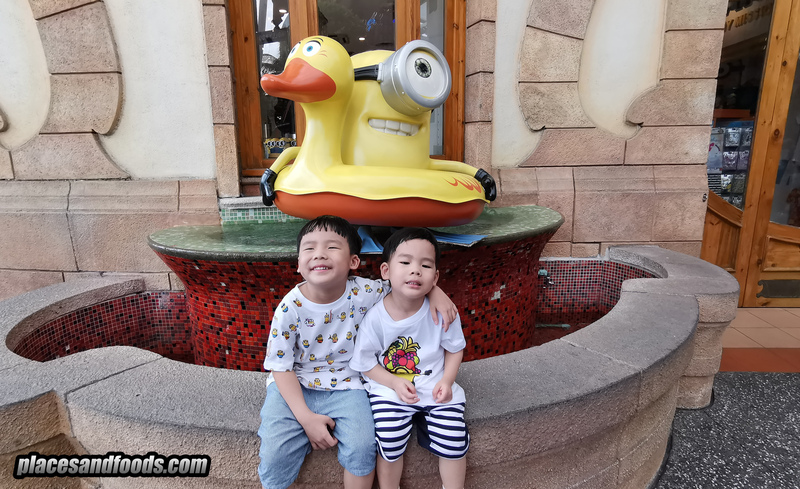 How to go to Asiatique The Riverfront? The best way to go to Asiatique The Riverfront is by their free water taxi. The jetty is next to BTS Saphan Taksin station. Going there by taxi is not a good option as traffic is very bad there. Read more on how to go to Asiatique The Riverfront HERE. This is the original Talad Rod Fai market but this is not the original location. The original location is by the train tracks near Chatuchak Market and that’s how they got their name “train market”. They had to relocate in 2013 due to the expansion of the BTS Skytrain and it moves to Srinakarin. The market gain lots of popularity due to its uniqueness and that’s why when it moves to Srinakarin, there are many locals and tourists visited the market. This is the biggest Talad Rod Fai night market among the three Talad Rod Fai night markets in Bangkok. You can spend hours shopping here. 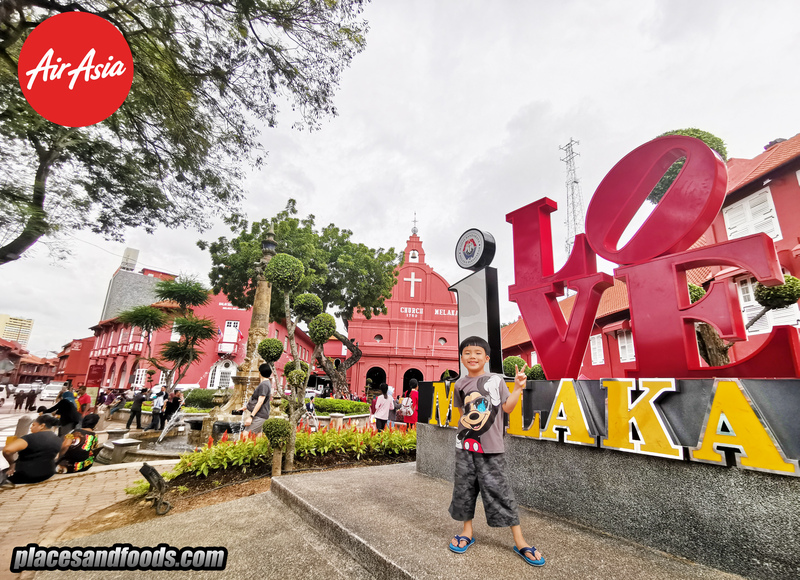 Talad Rod Fai Srinakarin is located at north east of the city and it is not near the BTS Skytrain stations or MRT Subway stations. It is located behind Seacon Square Srinakarin,one of the largest shopping malls in Bangkok. Talad Rot Fad Srinakarin is extremely popular with locals and tourists as it is a huge night market and it offers a huge variety of fashion, food as well as antique items. The downside is it is far from the city and you need to take a taxi to visit this night market. 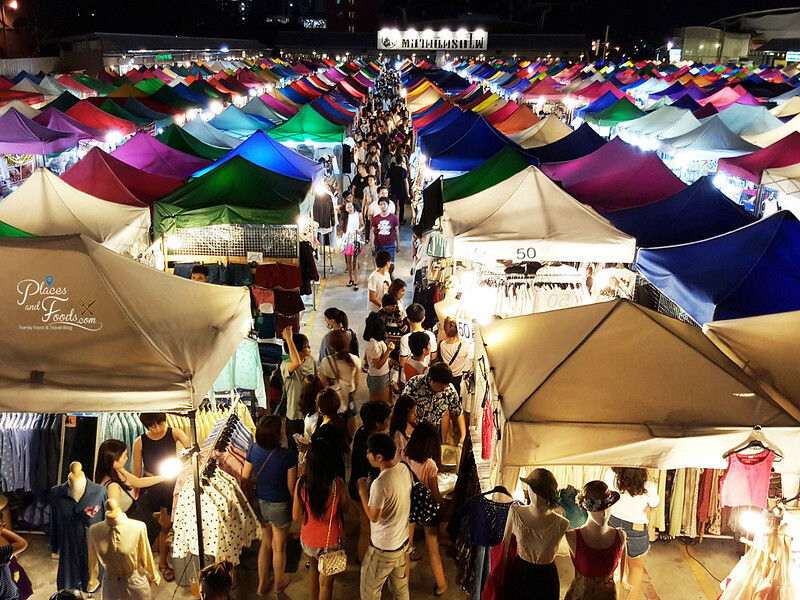 If you plan to visit this night market, expect to spend the whole evening. Traveling to there might take some time. From On Nut BTS station, take a taxi to reach the Seacon Square. If not mistaken, it should be around 20 minutes and the taxi fare is around 100 Baht. The taxi will stop you at the opposite of the Seacon Square and you need to take the pedestrian bridge to cross over. You can also order Uber or GrabCar from the On Nut BTS Station and also from Seacon Square. This is the second Talad Rod Fai Train Market and it is located at Ratchada near Thailand Cultural Centre MRT Station. This market is not as huge as Talad Rod Fai Srinakarin but you can easily find over hundred stalls here. It has become quite popular with tourists due to its convenience as well as the things they offer in the market. The market is open from Thursday to Sunday, from 5pm till 1am but I recommend you to come around 7 to 8 pm, as they will take some time to open their stalls from 5 pm. The best way to reach here is via MRT at Thailand Cultural Centre MRT Station. For convenience, I will prefer to visit Talad Rod Fai 2 Market even though it is smaller. The market is a cool place to visit as it is cooler at night and there are plenty of things to shop. You can bargain in this market but most of the items are quite reasonable. The variety of the food is better than Talad Rod Fai market. Otherwise, you can eat the fast food at The Esplanade. Expect to spend at least an hour shopping here. Take MRT to Thailand Cultural Centre MRT Station. Take Exit no 3 and take left turn and you will see the Esplanade building. The Talad Rod Fai Market 2 is behind Esplanade. 5 pm to 1 am. Go back take good rest as there will be more days of intense shopping. Prepare to wake up early on Friday morning. Take a taxi, Grab or Uber back to your hotel, rest as there will be more shopping on the weekends. Remember to check if there is any room left in your luggage so you can buy a new one on the weekend! Day two is intense and get your legs and shopping bags ready as it will be a full intense shopping day. The reason we recommend you to stay in Pratunam is as there is a very early Pratunam morning market. This is for early birds only as the market opens from 4 am to 9 am. Usually they start to close the stalls by 8.30 am for the usual traders and shops to open at 9 am. These are sidewalk stalls and they offer mostly things for the girls and also food. This is also a wholesale market so things are cheaper when you purchase at bulk of three items and above. There are some pretty decent street food here for breakfast and remember you need to be here early, it is recommended to come here after 5 am. Pratunam Morning Market is located in front of Baiyoke Sky Hotel. 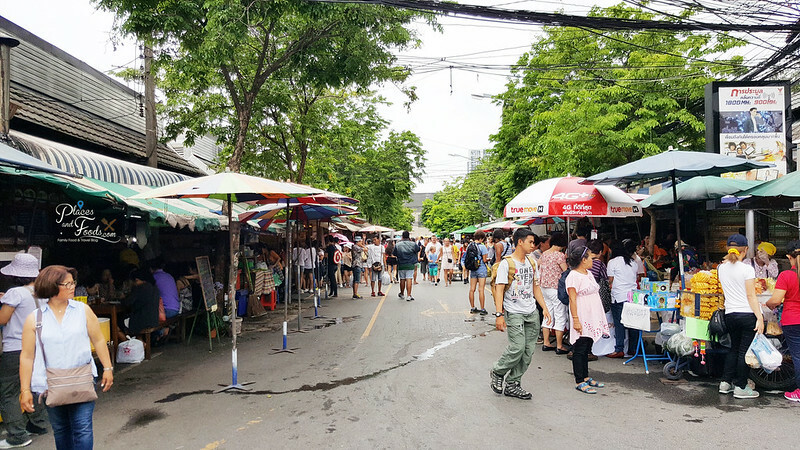 You don’t need to go anywhere else if you plan to visit the Pratunam Morning Market. Just stay until 9 am and the Pratunam Wholesale Market will take over. You can see the stalls and shops open one by one around 9 am. The main Pratunam Wholesale Market is located in between Baiyoke Sky Hotel and Platinum Design Mall. Thus, there are hundreds of shops in this market. Make sure you remember your way in and out and if you get lost in the market, just ask for directions. It is pretty cramped in Pratunam Wholesale Market as traders and shoppers walk around with shopping trolleys and bags. All the items here are for wholesale and you have to buy it at the bulk of minimum three items and above. You still can purchase single item at higher price. You can find female and male fashion clothes, baby clothes, food, accessories and many other things here. Just bring your cash for your shopping spree. The best way to get to Pratunam Wholesale Market is by taxi. For the afternoon session, we recommend two options. You can either stay in Pratunam area to shop at Platinum Fashion Mall or move to Chatuchak Area. You can stay back in Pratunam and shop in Platinum Fashion Mall. The mall closes at 7pm and you will have the option to shop at the night markets in Pratunam or you want to move to other night markets. You can either choose the night markets we recommend for day one or a few night markets we recommend in Chatuchak / Lat Phrao area. The choice is in your hands. The other choice for Day Two is to visit the Chatuchak area and we have a few places to recommend. 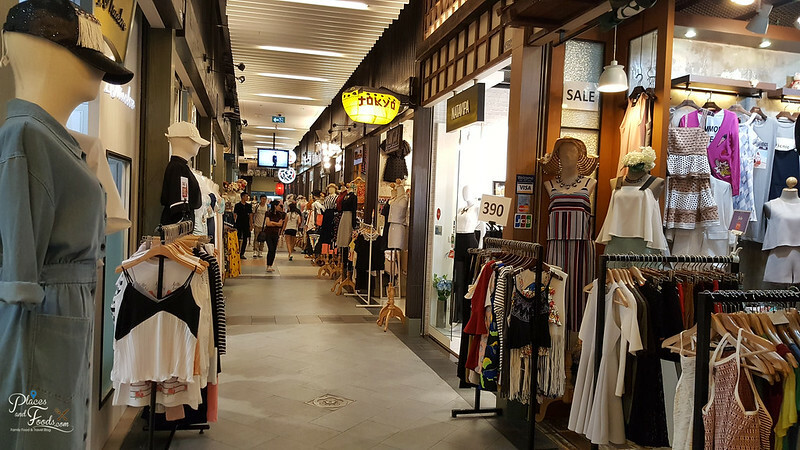 Union Mall is located near Chatuchak and it is ideal to visit the mall first as it is air conditioned before you visit the weekend market. It can be easily accessible via the MRT Subway. This shopping mall is small but it has many unique boutique stalls. Some called this mall hipster mall as the mall caters to the younger crowd and it is not as busy like the other popular shopping mall. The design here is good for teenager, young working adults and you can find many beautiful evening and wedding dresses here at reasonable price. The boat noodle and the Thai restaurant in this mall is a must visit and must try. Expect to spend hours venturing the mall here and this is not a wholesale mall but you can always try your luck to test your bargaining skills. The best way to visit Union Mall is via MRT (Subway). Stop at MRT Phahon Yothin and the mall is just next to Exit 5. Chatuchak is the world’s largest weekend market and if you plan to venture the market, you need to take days. After Union Mall, you can spend your afternoon here. They have directory boards at many places so you can locate what you plan to buy easily. There are many on ground staffs in the market and the sections are segmented and quite easy to find if you follow the map. Many of the locals will come here to get their stock. This is the place for most locals to sell their own items. You can find local fashion boutiques, arts, crafts and almost everything in Chatuchak. There are shipping companies like Fed Ex and DHL so you can ship back your shopping items from here. Some people choose and purchase the furniture here and shipped to their respective countries. 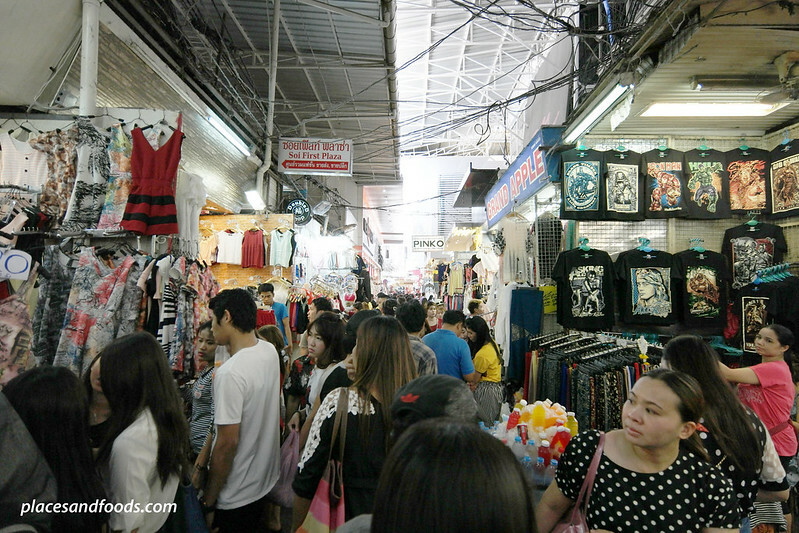 Please take note that you can really spend hours and days in Chatuchak Weekend Market. The market is also notorious for pickpockets so please take care of your belongings. There are signs and people telling you to be careful of your bags. Most of these pickpockets are not locals. There are plenty of food available in Chatuchak Weekend Market. JJ Mall is a shopping complex located next to Chatuchak Weekend Market. For those who are dehydrated, you can visit the mall for a short break. The mall is fully air conditioned and you can find some hidden gems in one of the shops here. We use to shop in one of the local fashion boutique here selling Japanese inspired design T-Shirts. You can find a couple of popular fast food restaurants here too. JJ Mall opens from 10.30 am until 8 pm daily and you can hang out and chill in this morning before the evening. Saturday evening will be focusing on Chatuchak and Lat Phrao area for night markets. You can stay back at Pratunam area and use back the options we listed for Day One evening or we have listed a few other options for you to choose in Chatuchak and Lat Phrao area. 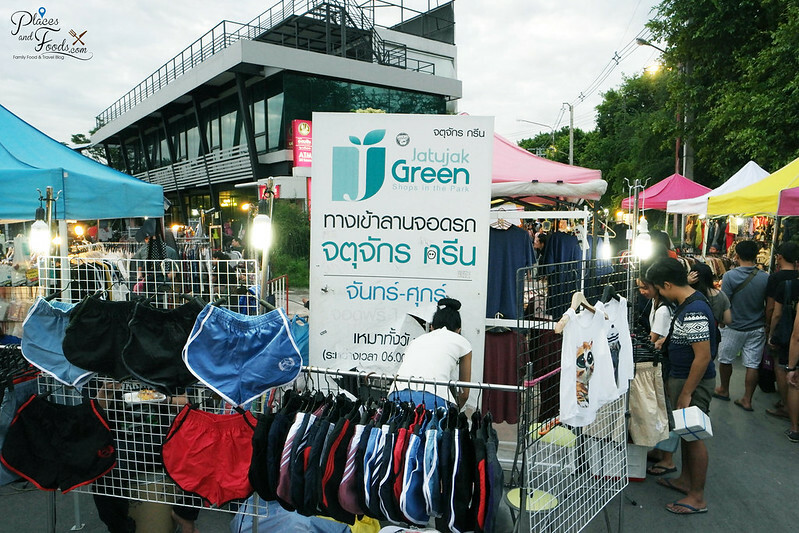 JJ Green Night Market is also known as Jatujak Green Night Market and they are visible from the BTS Mochit Station. It is just across the road from Chatuchak and it is not a huge night market. This is the nearest night market to Chatuchak and you can find vintage items here as well as some real good deals. There are food stalls and restaurants in this night market. Expect to spend less than hour venturing and shopping in JJ Green Night Market. Hua Mumm Night Market is getting bigger and there are more things to see and shop. This is quite far from Chatuchak but not as far as Talad Rod Fai 3 Kaset Nawamin. What we like about this market is most of the customers here are locals. The night market is not that touristy and the things here are very reasonable in pricing. 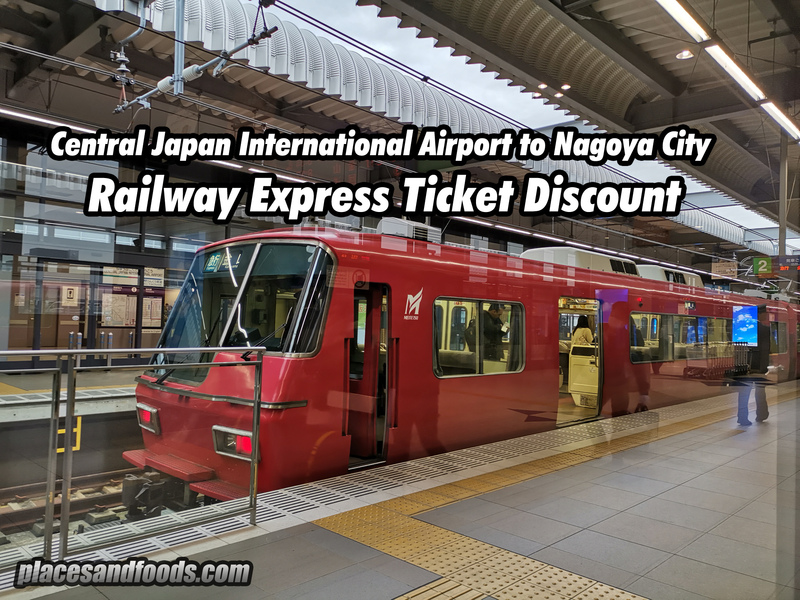 We found quite a lot of good deals here in our last trip here and we always recommend our readers to come here. There are restaurants and food stalls here and some of the local food here is really good. 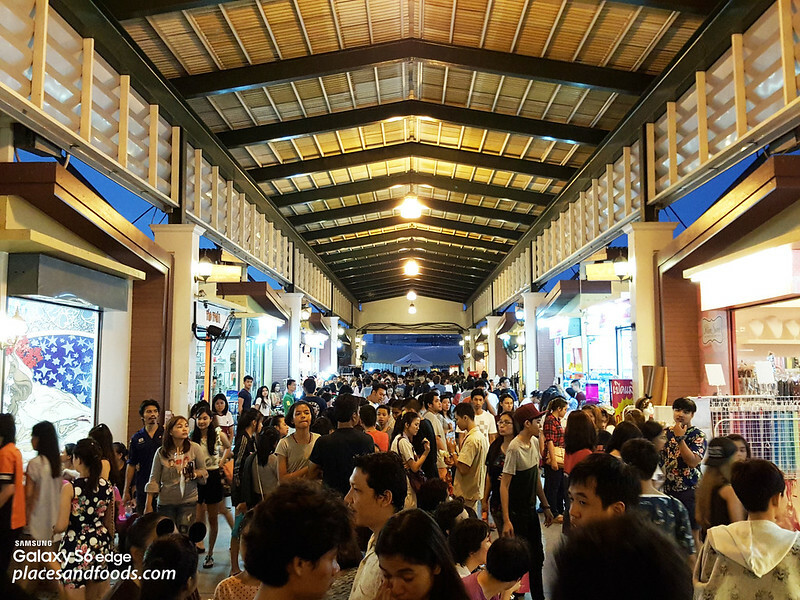 Hua Mumm night market is always on our list if we are in the Chatuchak area. How to go to Hua Mumm Market Lat Phrao? Exit in MRT Lat Phrao and take a taxi to Hua Mumm Market. You also can take a taxi from Chatuchak. Tell the taxi driver it is near The Walk Kaset Nawamin for easier reference. The most popular pop up night market ArtBox is opened now in Chatuchak Park. The new location is near MRT Kamphaeng Phet Station Exit 1. This new venue at Chatuchak Park is near Chatuchak and this will make a good reason for you to visit the night market. Many locals love the concept of ArtBox and it is one of the most hipster night markets around. You can find a good mixture of locals and tourists visiting ArtBox. There are plenty of things to shop and many good food to eat. Please take note that ArtBox Chatuchak Park will open until 30th April 2017. The best way to visit ArtBox Chatuchak Park is via MRT. Take the MRT Train (subway) to MRT Kamphaeng Phet Station Exit 1. In our opinion, this is the cheapest and best way to visit ArtBox Chatuchak Park. You can always take a taxi, Uber or Grab to this new ArtBox Chatuchak Park but MRT will beat the traffic. Further down the road is Talad Rod Fai Market 3 or Train Night Market 3, the latest train night market in Bangkok. It is not as huge as Talad Rod Fai Market 1 and similar in size with Talad Rod Fai Market 2. Talad Rod Fai 3 Kaset Nawamin is quite a distance from MRT Lat Phrao and the last time we went there (in September) only 60 – 70% of the stalls are open. The decision for you to visit this night market is up to you but as we mention it is quite far away. The nearest train station is MRT Lat Phrao and you can take a taxi from there. You can also take taxi from the city but it will cost more. Remember this is the latest Talad Rod Fai Market so many people still do not know about this place. You will be flying back today and today you will do the last-minute shopping. The reason we recommend you to stay in Pratunam it is easier for you to shop here. What to do in Pratunam in the morning? Shopping of course. You can revisit Pratunam Morning Market and shop whatever you need and start to pack and leave to airport if your flight is in the afternoon. This is the main reason you stay in Pratunam, convenience and Pratunam morning market. We recommend three places to visit for Sunday morning for your quest in shopping. Last minute shopping at Platinum Fashion Mall like many others do. It is safe to shop in Pratunam area if you are running out of time. Remember to plan properly. Bobae Market has been around for more than 30 years and the Bobae Tower is the pioneer version of Platinum Mall. It is a shopping mall, it is air conditioned and it is the older version of Platinum Mall. Bobae Tower houses 1300 shops over 6 storeys of shops and one level of food court while the tower is occupied by Prince Palace Hotel and it is located near Bobae Market (within walking distance). It is a wholesale shopping mall most of the things here are sold in bulk of three and above. Some argue that the design you can find in Bobae Tower is outdated but we do have friends who enjoyed shopping here. This is quite a huge mall so you can expect spending hours venturing Bobae Tower. Take the train to National Stadium BTS Stadium and take a taxi to Krungkasem Road. It will take at least 15 minutes depending on traffic. Klong Mahanak, Pomprab, Bangkok 10100 Thailand. Sam Peng Yaowarat Wholesale Market is located in Chinatown Bangkok and one of Bangkok best kept secret. 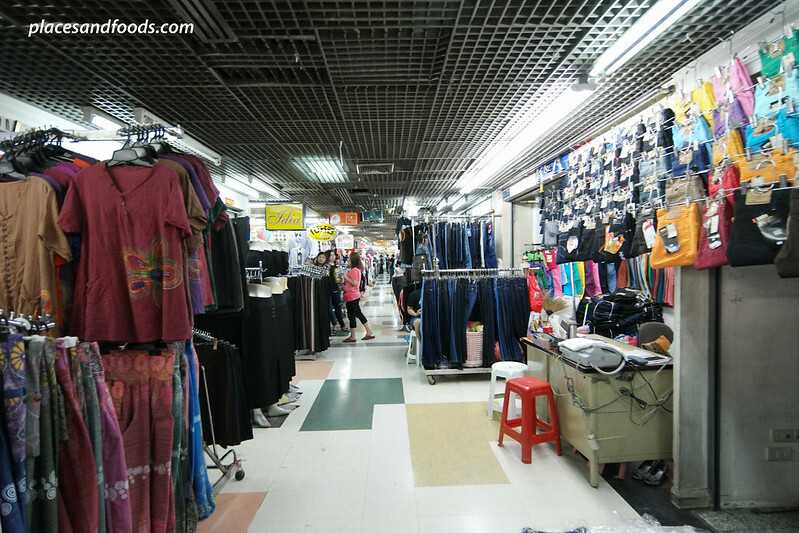 The Sam Peng Yaowarat Wholesale Market is a long stretch of wholesale market of stalls and shops at Yaowarat Road and Sam Peng Lane so that’s how you get both names in the same market. It is an outdoor market and there are sections of the wholesale market selling different items. 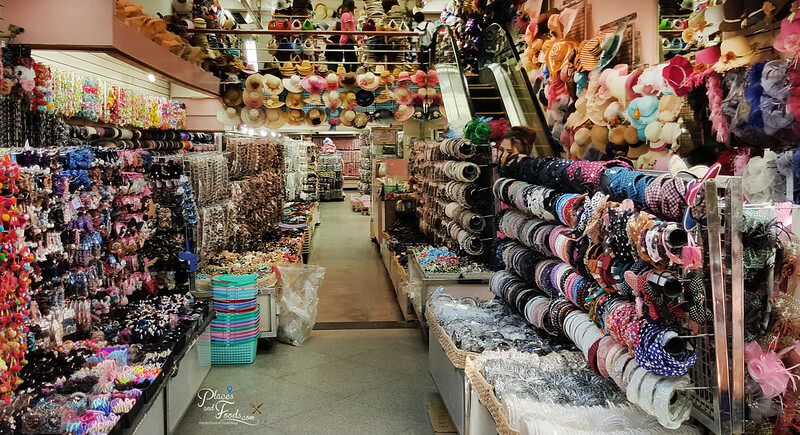 You can find clothing, fabrics, jewellery, accessories and many more in this wholesale market. This is the girls shopping haven and you might spend the whole afternoon here. The best way to get to Chinatown Sam Peng Yaowarat Wholesale Market is by taxi. We will recommend you to pack your luggage in your hotel and get ready to the airport. Remember to pack everything and don’t leave anything behind. Sometimes traffic jam is unexpected in Bangkok so go to the airport early. Transferring to the airport. Some hotels offer hotel transfer to airport while some hotels do not offer that service. You can ask hotel receptions to order a taxi for you or you can always order a ride from Grab or Uber. Choose your best option for a comfortable ride to the airport. Both Don Mueang International Airport and Suvarnabhumi Airport offers really awesome deal in their duty-free shops. If you have to claim your VAT refunds, remember to stamp your forms before you enter the immigration and custom and get your refund after that. If you miss stamping your forms, you will not able to claim back your VAT refunds. VAT refunds is applicable to purchase in single receipt for amount more than THB 2000. Just be in the airport early.